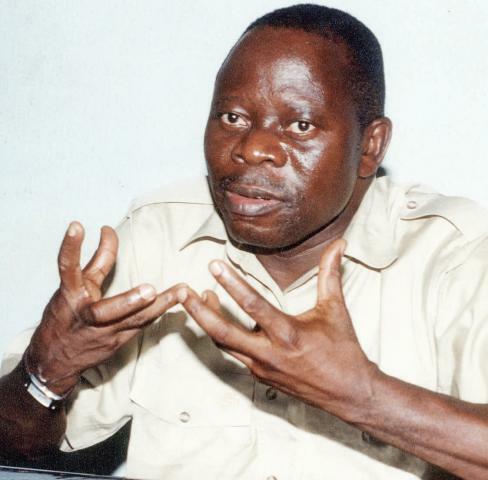 APPARENTLY worried by what he described as ‘questionable characters’, the Edo state governor, Comrade Adams Oshiomhole has called on university authorities to observe caution when considering awardees. The state governor who observed that the award of honorary degrees had gone to people of questionable characters by University administrators, also noted that the practice esnow go to the highest bidder as well. Commending the Vice Chancellor of the institution, Oshiomhole said under the leadership of Prof. Agbebaku, “the university has continued to enjoy stability and peace and has grown from strength to strength”. “She has defended the academic calendar of the University and has demonstrated that even where a man could not managed peacefully, a woman could do so peacefully,” the governor said. Speaking on the calibre of Nigerians selected by the university for honorary awards, Oshiomhole described the awardees, Messers Leemon Ikpea, Pastor Chris Oyakhilome and Chief David Edebiri (Esogban of Benin) as honourable men who were worthy of the honour bestowed on them by the University. Turning to the graduating students, he advised them not to give up on the country in spite of the unemployment challenges facing the country and urged them to emulate one of the honorary awardees, Chief Leemon Ikpea who rose from grace to grace. Earlier in her address, Vice-Chancellor of the University, Prof Agbebaku expressed gratitude to Governor Adams Oshiomhole for confirming her appointment and the achievements so far recorded by her administration. In his goodwill message, Executive Secretary of the National Universities Commission (NUC), Prof. Julius Okojie, directed university’s administrators in the country to internalize quality assurance Units in their institutions and commended the Ambrose Alli University for doing so already. He also called on the AAU management to build more hostels under the owner and occupier basis for effective management of students’ population.